Designed according to the latest industrial organization concepts, molding is an independent department with a full know-how of the complete production process. 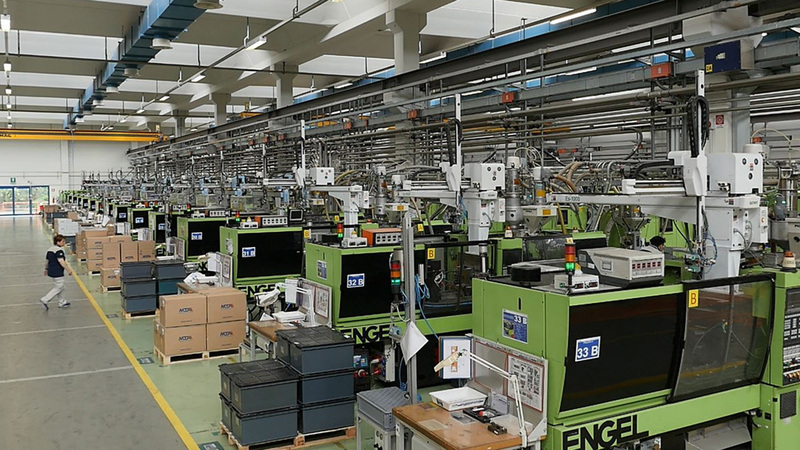 Molding departments are responsible for all aspects of products designated for the assembly lines – from the maintenance of molds and presses, through to the management of cross-department processes such as manufacturing engineering and quality. Plastic granulate is fed to the machines through a centralized distribution system. In MTA more than 100 presses turn out nearly 600 different products, with 500 million parts and 1,800 tons of material processed yearly. Molding departments are in Italy, Brazil, Slovakia and Morocco.